After 11 seasons, 143 games, 67.5 sacks, and 20 forced fumbles, one of the best defensive ends in Panthers’ franchise history has called it a career. For one reason or another, Charles Johnson has never quite gotten his due. It started in the third round of the 2007 draft when he wasn’t even the first Georgia defensive end drafted – Quinten Moses was. He came to a team with a future Hall of Famer at the other defensive end spot, so even as Johnson was hitting his stride, Peppers left – not even the biggest story on his own defensive line. Taking Peppers’ place was another talented, louder end who stole headlines and column inches for a myriad of reasons. Meanwhile, from 2010-2014, the only two players in the NFL to record eight sacks or more in each season were Johnson and Cameron Wake – who has higher regard across the NFL – Wake or Johnson? Once Pep came back, combined with the emergence of Kuechly, KK and the ever looming shadow of Thomas Davis over his shoulder, Johnson was all too often the guy left out of the named Panthers’ core.  Where does he rank when you think of historically great Panthers’ defenders? From a pass rush standpoint, CJ was peaking as the Panthers were bottoming out – and then learning to win with a young franchise quarterback. On the two-win 2010 squad, Johnson managed to have 11.5 sacks, including six straight games with a sack (or more). This was no easy feat for a pass rusher, given how seldom the team had a lead and that the rest of the team managed less than 20 sacks that season. Over the last 10 seasons, Charles Johnson recorded at least half a sack in 59 games. Only ten players across the league have had more, and almost all of them seem surely slated for Canton – funnily enough, the man that heads that list was on the opposite side of the defensive line from Johnson in his final season. 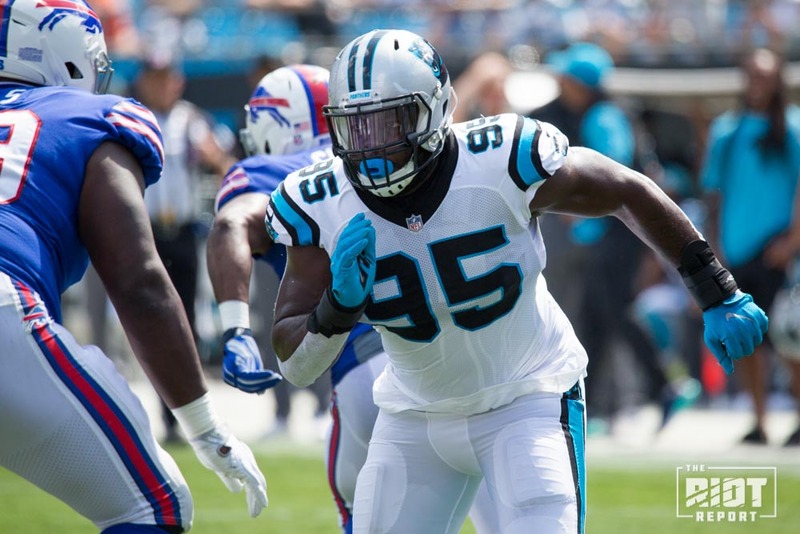 For Johnson, it was more about the consistency than the flash; he recorded at least half a sack in over half of the Panthers games in the five seasons between 2010 and 2014. Unfortunately, some of Johnson’s best plays and games came in losing efforts. In 2012, in the Georgia Dome, Johnson sacked Matt Ryan in each of the four quarters of the game and was instrumental in shutting down running back Michael Turner, but a safety didn’t get deep enough at the end of the game, and we don’t talk about that game now. During Week 1 against the Seahawks in 2013, with the Panthers holding on to a slim 7-3 lead and the eventual Super Bowl champs threatening before halftime, Johnson burst around the line for a textbook strip-sack of Russell Wilson. Unfortunately, some Wilson heroics and an untimely Panthers fumble mean we don’t talk about this one much anymore either. Even during the Super Bowl run of 2015, while CJ’s durability wasn’t what it had been, he once again came alive in the playoffs, recording a sack in all three of the postseason contests – while the talk of the defensive line coming out of Super Bowl 50 was Kony Ealy’s three sacks, including a fourth quarter strip-sack, lost was that only two plays prior, CJ had done the same, except that the Broncos was able to recover the fumble. 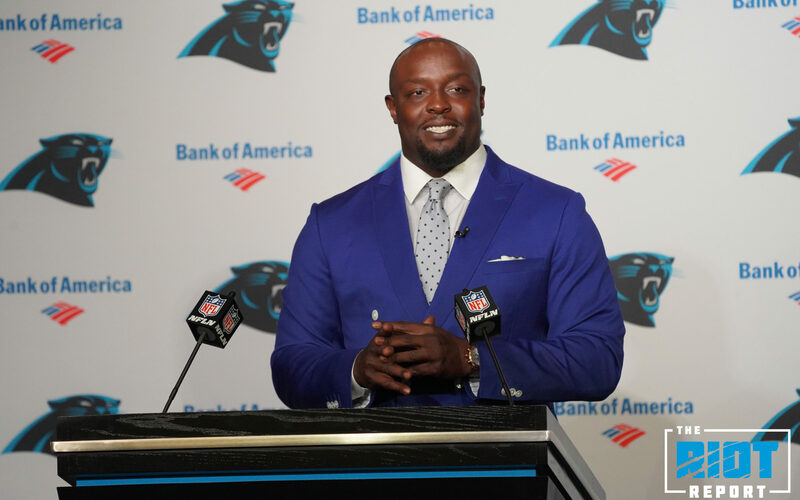 For long time Panther fans we’ve seen Johnson grow from a young football player out of the heart of Georgia into a father and entrepreneur; in a world that celebrates flash, he was silent consistency. Johnson retires second only to Julius Peppers in Panther’s career sacks – only Thomas Davis and Mike Minter played more games on the Panthers defense than CJ. 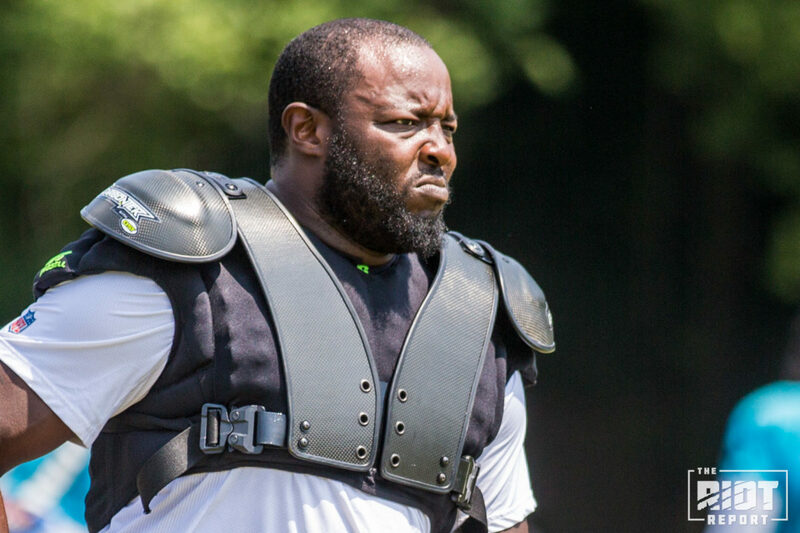 Few have given more to this team than him, so today let us celebrate Charles Johnson, one of the best Carolina Panthers to ever line up on the defensive side of the ball – the celebration he deserves.